Thoughtfulness melts the heart far more than a pricey pressie. 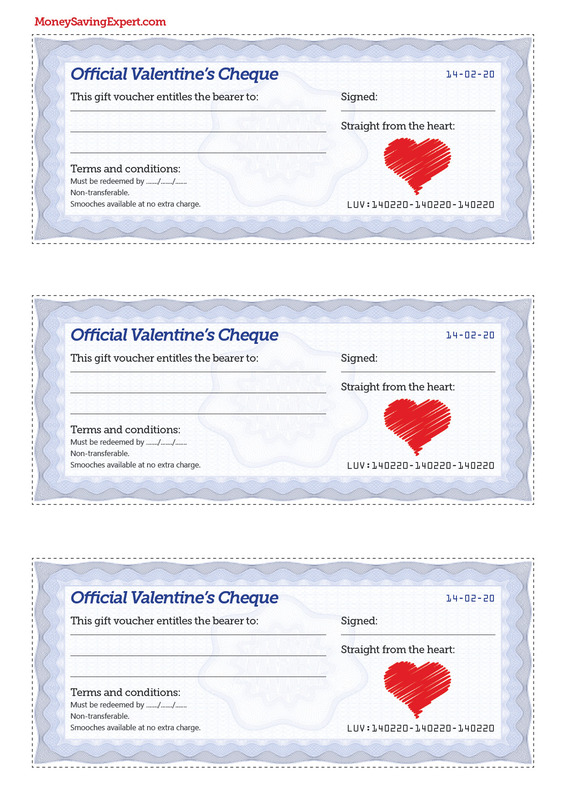 Our free Valentine's gift cheques above let you create vouchers for your partner. When they present it to you, you’ll do whatever it says on demand. Use your imagination for saucy ones, but it could also be a 20-minute foot massage, doing the washing up or agreeing to dinner at the in-laws. You could make breakfast in bed, run a luxurious bath, rustle up a romantic picnic or let them pick a movie of their choice (no complaining). Or how about a "get out of the doghouse free" card, where you let them get away with a minor misdemeanor you’d have normally chewed their ear off about. If you still want to buy a pressie, do it as cheaply as possible. 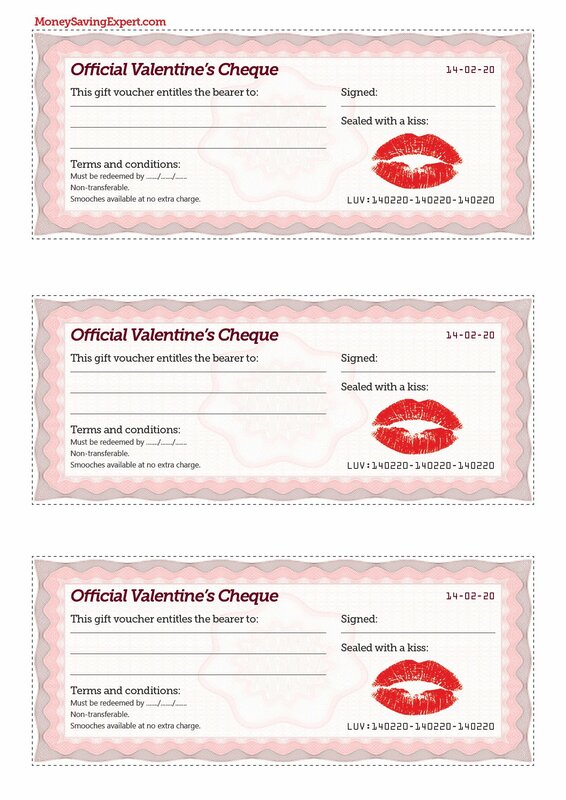 See our full Valentine's Day deals page. 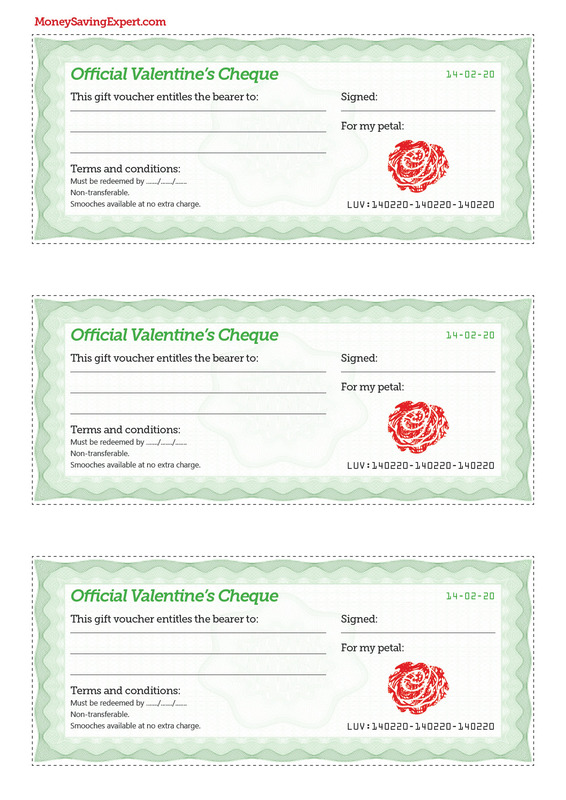 Suggest your IOU gift ideas in the Valentine's Cheques discussion.